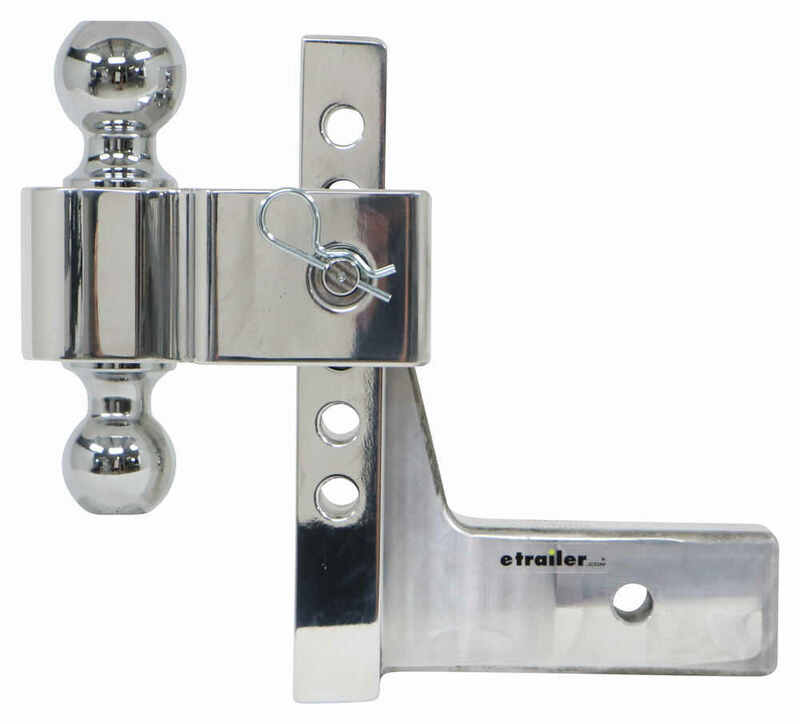 Switch easily between trailers with this adjustable, solid aluminum ball mount. Go from a 8" drop to a 8" rise. Tow up to 12,000 lbs with the 2" ball and up to 18,000 lbs with the 2-5/16" ball. Hitch pin and clip sold separately. 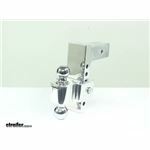 Call 800-298-8924 to order Fastway ball mounts part number FA42-00-2825 or order online at etrailer.com. Free expert support on all Fastway products. 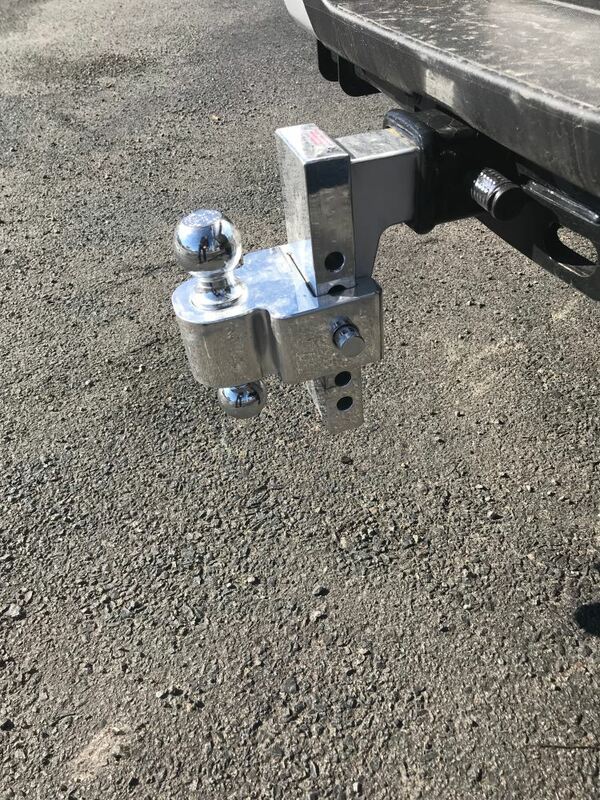 Guaranteed Lowest Price and Fastest Shipping for Flash E Series HD Adjustable 2-Ball Mount - 2-1/2" Hitch - 8" Drop, 8" Rise - 18K. Ball Mounts reviews from real customers. 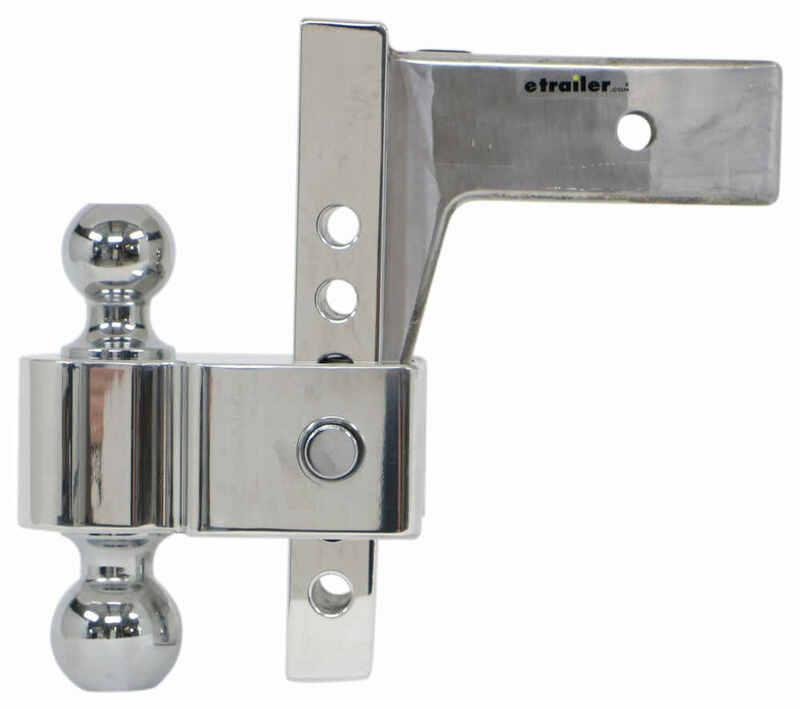 Switch easily between trailers with this adjustable, solid aluminum ball mount. Go from a 8" drop to a 8" rise. Tow up to 12,000 lbs with the 2" ball and up to 18,000 lbs with the 2-5/16" ball. Hitch pin and clip sold separately. 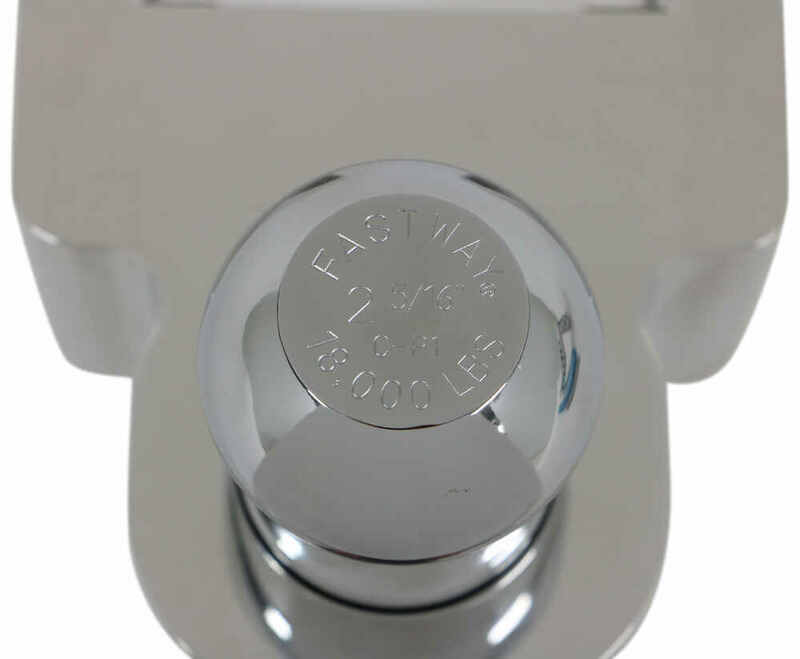 Ball diameters: 2-5/16" and 2"
The Fastway Flash E Series HD ball mount is strong, durable, and easy on the eyes, making it the best of both worlds. 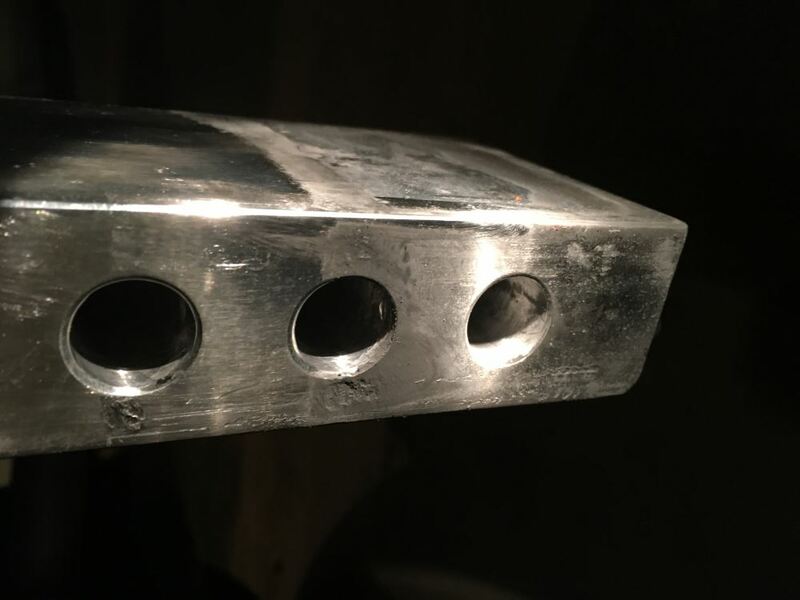 It's solid, aircraft-grade aluminum construction is durable, rust resistant, and sturdy enough to last for years to come. 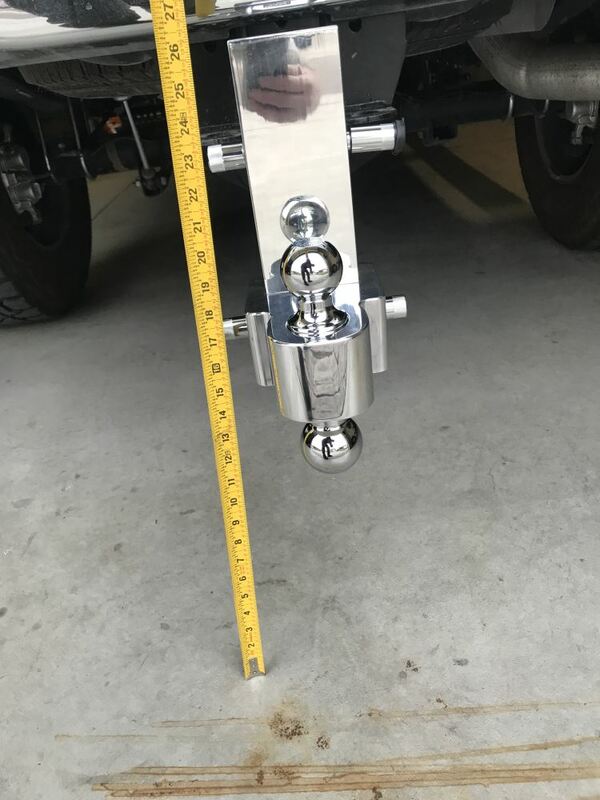 With a polished mirror finish, this ball mount will make any vehicle look fantastic. 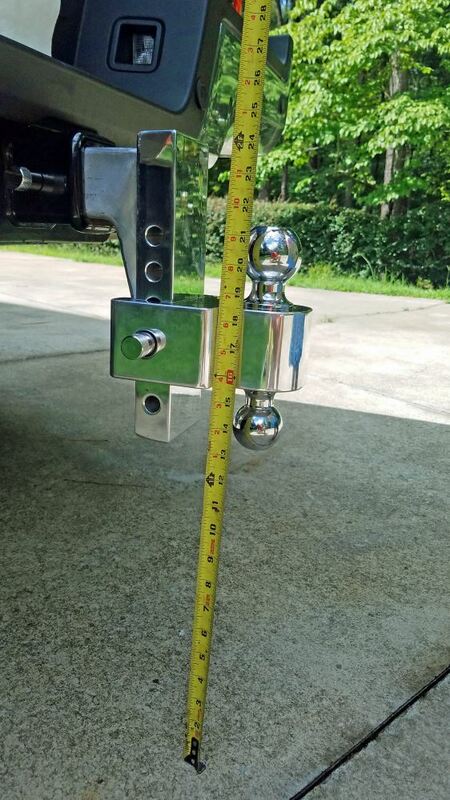 The adjustable ball height lets you tow a variety of trailers with different tongue heights. 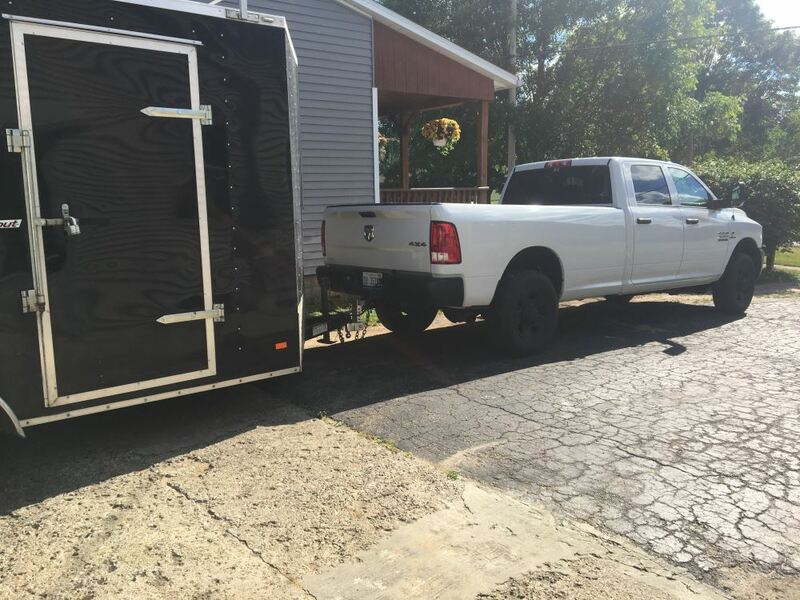 Having both a 2" ball and a 2-5/16" ball allows for even more versatility, making this the ultimate go-to ball mount if you own multiple trailers. 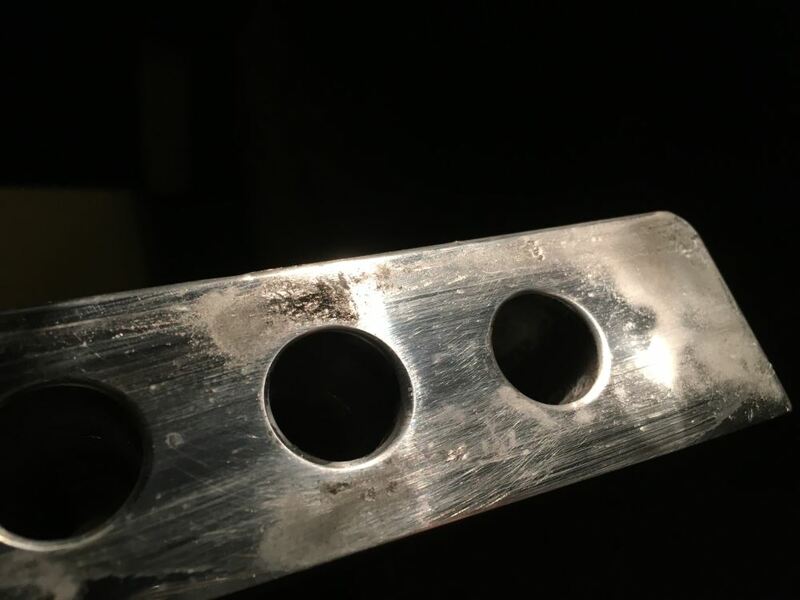 To adjust the height of the ball, remove the pin so that you are able to slide the ball platform up or down along the shank to the desired position. Re-insert the pin once you have found the correct height and replace the clip. 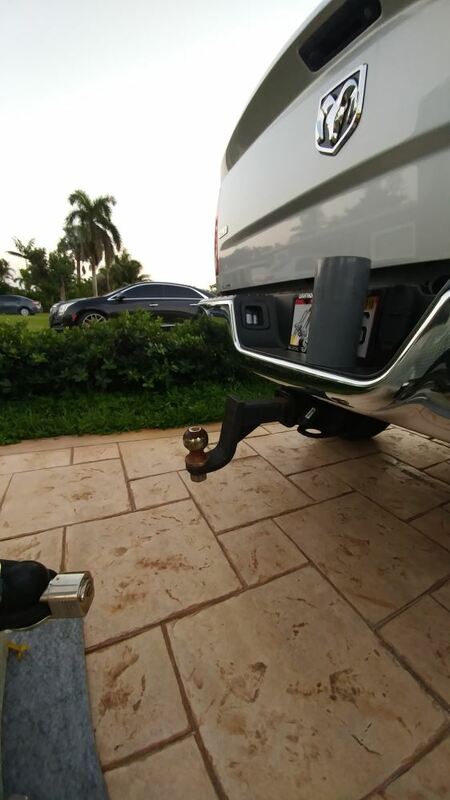 Switching the hitch ball is just as easy. Simply remove the pin holding the ball platform in place and slide the platform off of the shank. Flip the platform upside down so that the ball you want to use is on top. Then slide the ball platform back onto the shank and replace the pin. 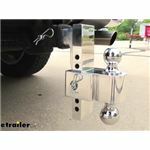 Order: RelevanceNewestRating - High to LowRating - Low to High Switch easily between trailers with this adjustable, solid aluminum ball mount. Go from a 8" drop to a 8" rise. 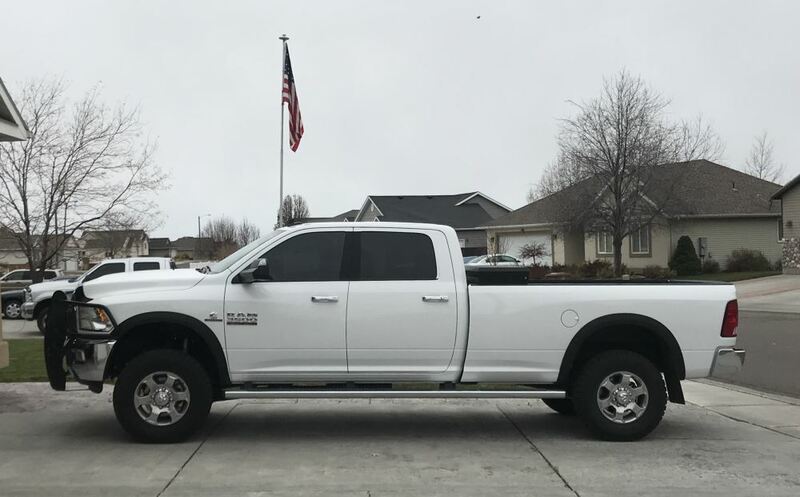 Tow up to 12,000 lbs with the 2" ball and up to 18,000 lbs with the 2-5/16" ball. Hitch pin and clip sold separately. Great. The ability to effortlessly flip bw ball sizes is perfect. 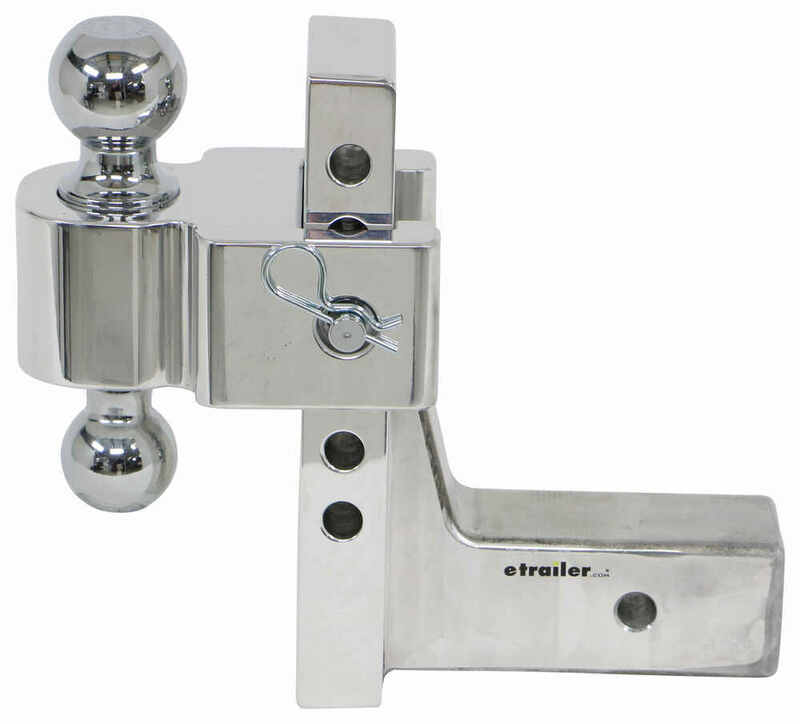 The Trailer Hitch Lock # FA86-00-3685 is what you need for the Flash E Series HD Adjustable Ball Mount # FA42-00-2825. 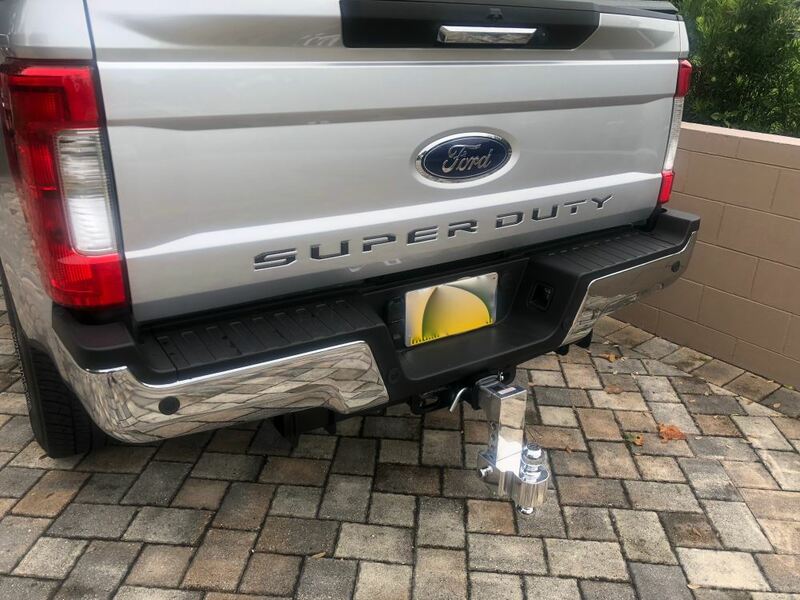 The Flash E Series HD Adjustable 2-Ball Mount # FA42-00-2825 is designed to fit 2-1/2 inch trailer hitches like what you have installed on your 2017 Ram 2500 so it's hitch pin hole will line up perfectly. We can guarantee that. 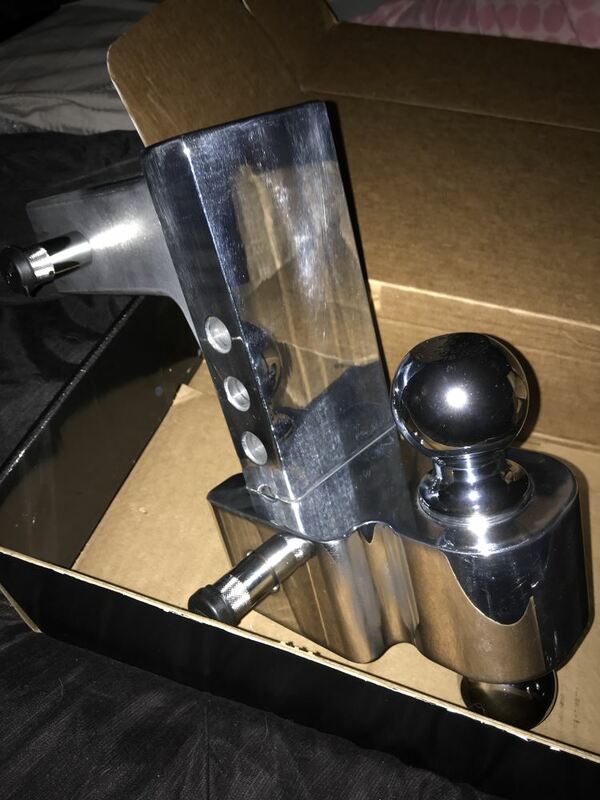 Will Fastway Trailer Hitch Lock be Safe for 18,000 lb Rated Hitch? 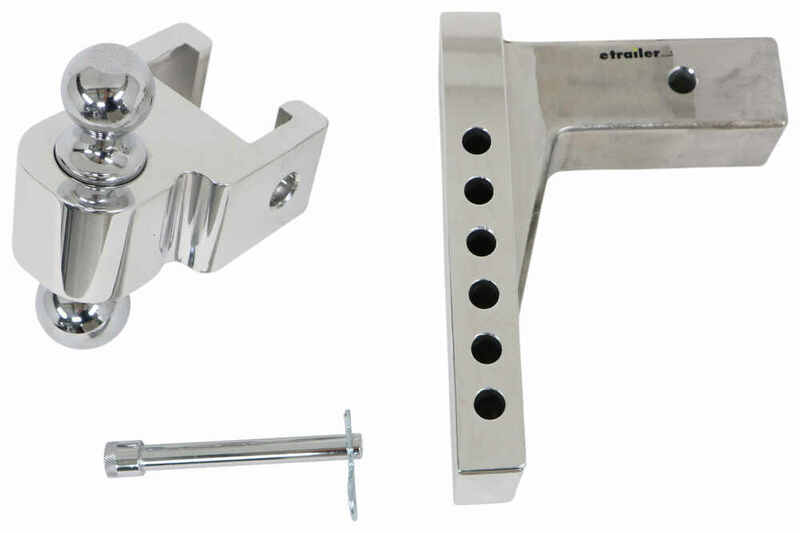 The Fastway Trailer Hitch Lock and Adjustment Pin Lock Set # FA86-00-3685 does not have a particular weight capacity. 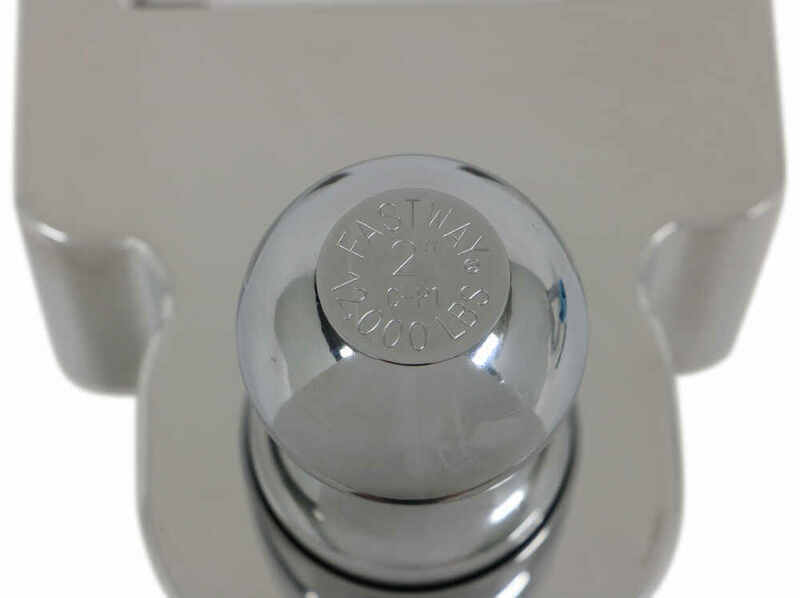 It has been designed for use with Fastway Flash E Series ball mounts like # FA42-00-2825. 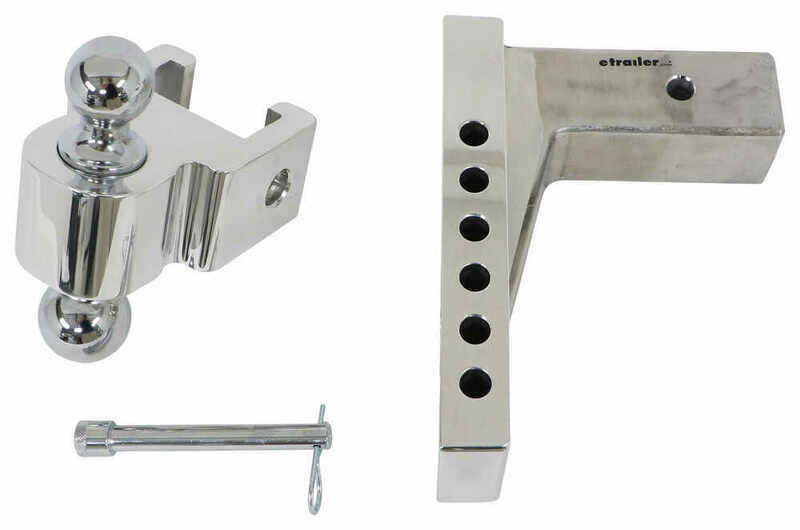 The lock set will fit 2-1/2" receivers and has a 5/8" pin diameter. I have added a video review of this product for you to take a look at. 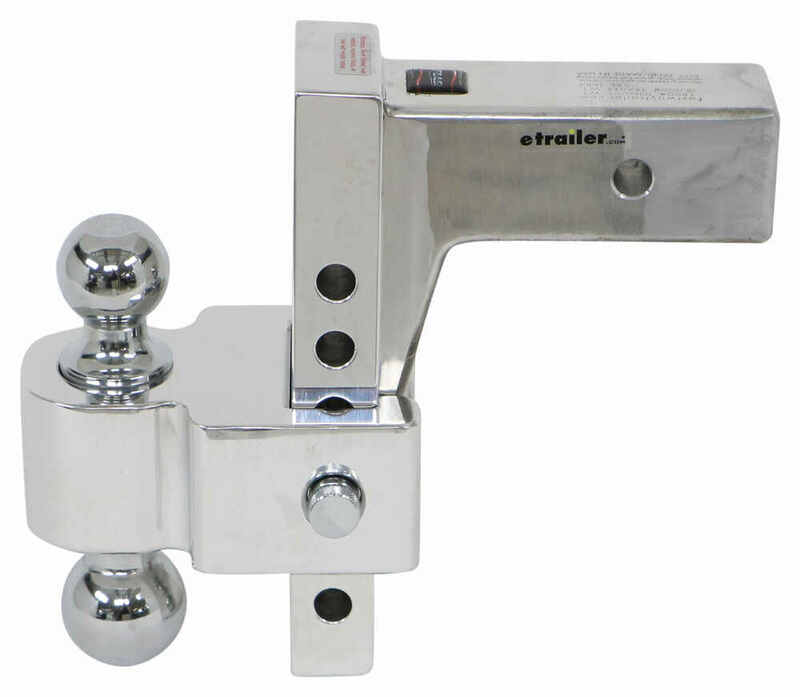 The Fastway Flash E Series adjustable ball mounts like # FA42-00-2825 include a 2 inch and 2-5/16 inch hitch balls. There isn't a 1-7/8 inch ball. For a 3-ball adjustable mount I recommend the B&W Tow & Stow # BWTS20049B for 2-1/2 inch hitch receivers or # BWTS10050B for 2 inch receivers. 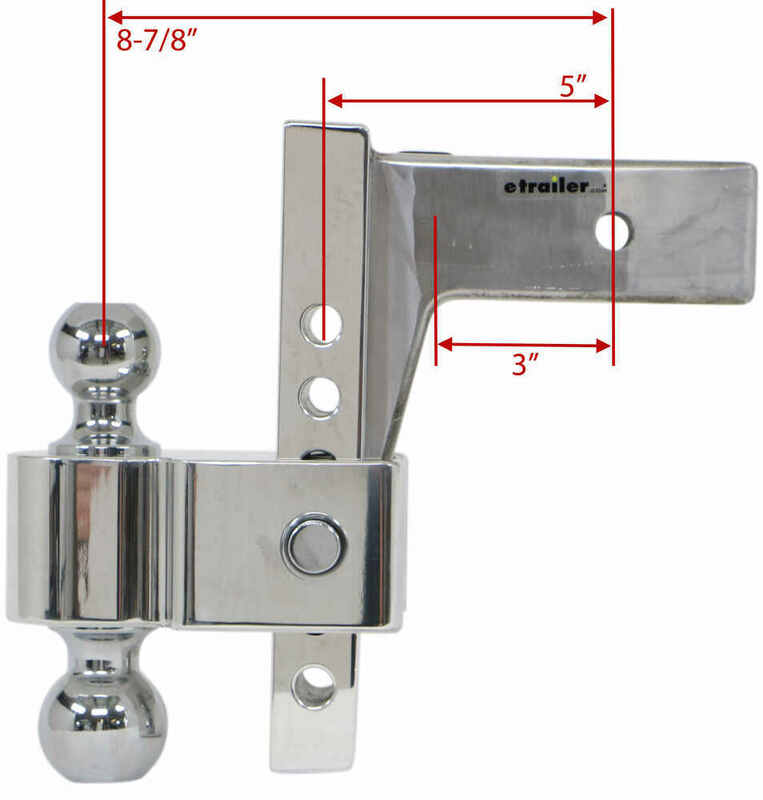 We carry the Flash E-Series HD Ball Mount part # FA42-00-2825 that you referenced. This is an adjustable ball mount that can do either 8 inches of rise or drop designed for 2-1/2 inch hitches. With the larger 2-5/16 inch ball it has an 18k capacity and the smaller ball has a 12k capacity. Weight distribution (WD) systems, like the Fastway e2 # FA92-00-0600, actually use a specific head that installs on a WD shank. The head is designed to hold the bars so you wouldn't be able to use a Flash E Series HD Adjustable 2-Ball Mount, like part # FA42-00-2825, with a WD system. You can use the sway control unit # 83660 either way though. If you don't already have a tab for the small hitch ball then you can install a tab with part # 3442 or part # RP26003. The Curt 21K Heavy Duty Forged Ball Mount # C45432 is intended for extra-heavy-duty 3-inch hitch receivers. 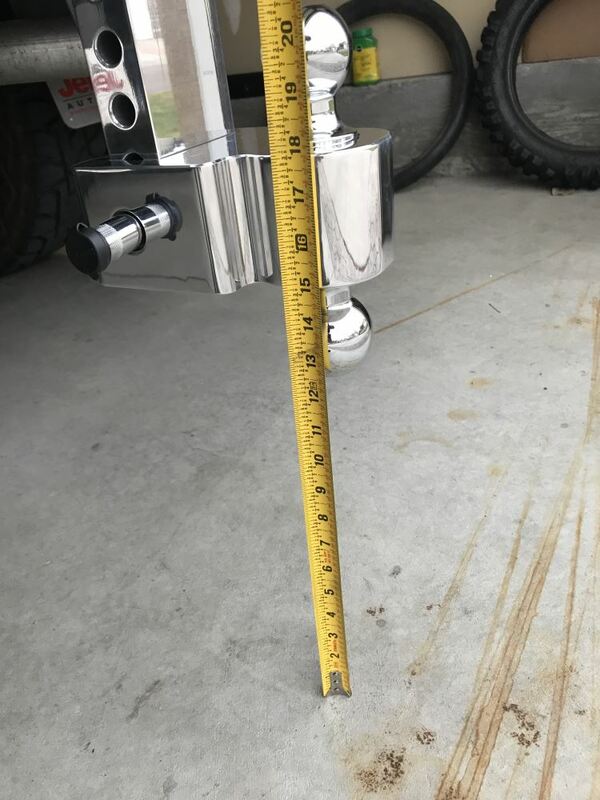 It does have the 8-inches of drop you need, but we have similar ball mounts in the 2-1/2-inch hitch size you require and you can see these on the linked page. We have both fixed ball mounts as well as adjustable ball mounts like Flash E Series # FA42-00-2825. The tongue weight capacity of the 2 inch ball on the Flash E Series HD Adjustable 2-Ball Mount # FA42-00-2825 is 1,200 lbs. 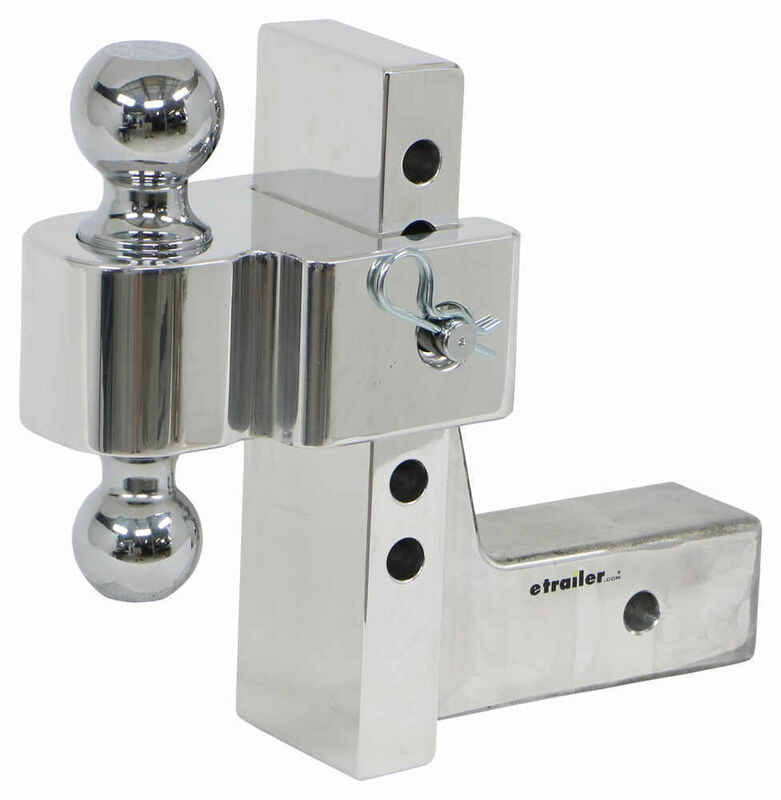 The 2-5/16 inch hitch ball then has a tongue weight capacity of 1,800 lbs. The dual hitch balls on the Flash E Series HD Adjustable 2-Ball Mount part # FA42-00-2825 CANNOT be flipped for storage due to a machined stop. Instead, you would want to use the B&W Tow & Stow 2-Ball Mount part # BWTS10040C which is a very similar ball mount that does have the storage feature you described. 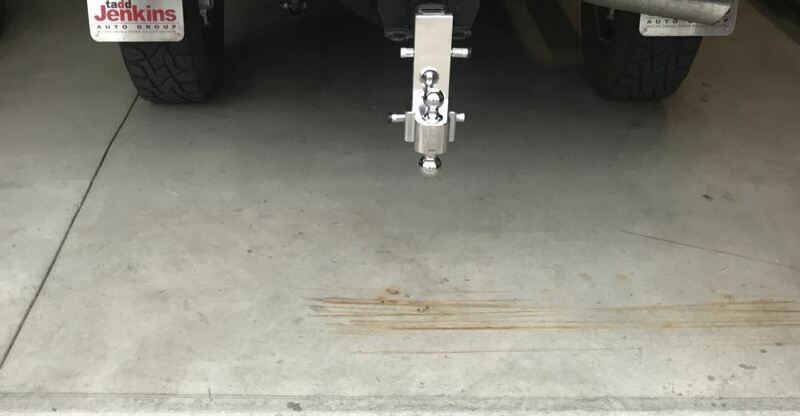 The Tow & Stow has a 10,000 lb capacity, 2" and 2-5/16" hitch balls, and offers 7" drop and 7-1/2" rise. I have attached a review video for you as well. 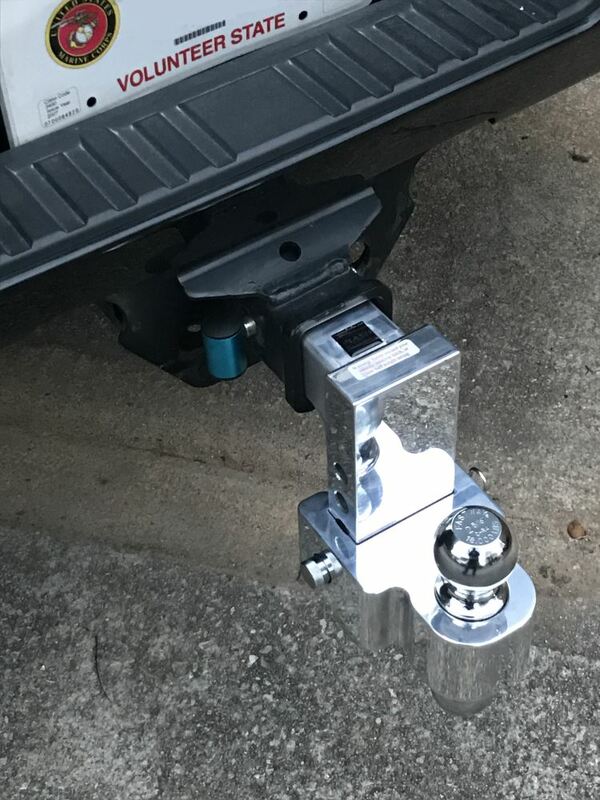 Your 2014 Cadillac Escalade would most likely not have a 2-1/2 inch hitch installed on it, but if it did the part # FA42-00-2825 would work. 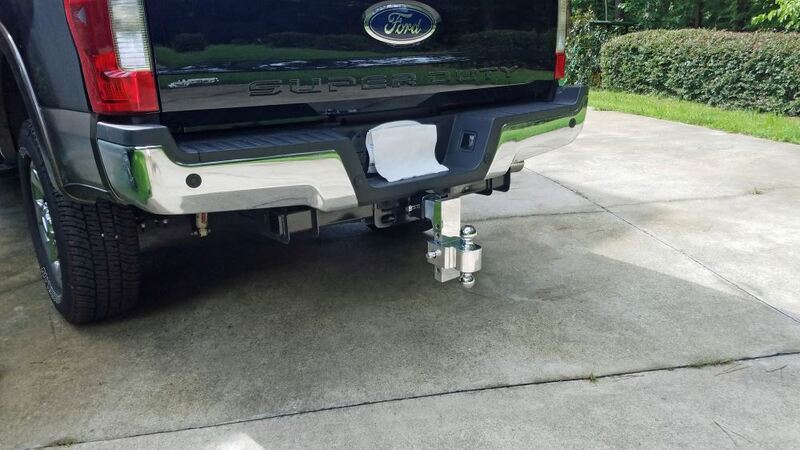 Most likely you have a 2 inch hitch installed though and would need the # FA42-00-2800 which is the same thing but for the 2 inch hitch size. 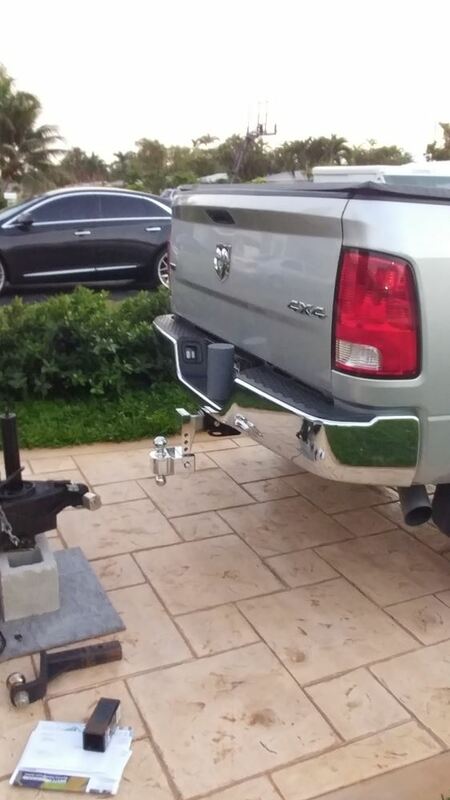 The larger hitch size is normally only seen on heavy duty trucks. 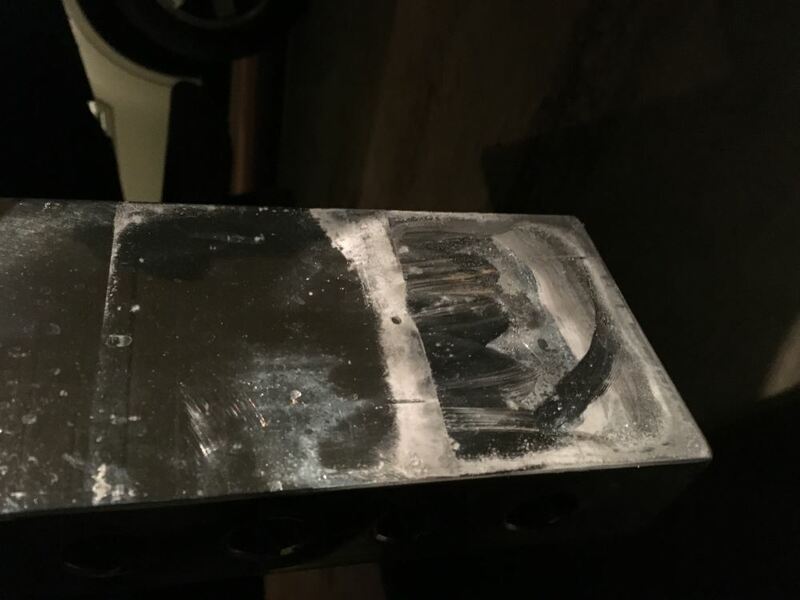 Notes: his has not been installed or used but has some surface scratches. Overall this is in good condition.